Randi Bender believes that knowledge is power, and the first step to acquiring knowledge is the ability to read proficiently. 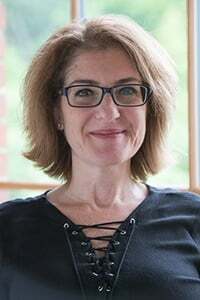 As the director of the Reading Plus Editorial Team, Randi leads a talented group of editors and writers who are passionate about delivering engaging and informative content to a widely diverse group of students. She is committed to providing texts that teach students not only how to be better readers, but also how to be the very best version of themselves they can be. She helps students discover who they are today, what they can be tomorrow, and how they can make a positive difference in the world. Randi joined Reading Plus more than a decade ago. During this time, she has helped shape the content libraries for SeeReader and InSight, and has been involved in developing the mission and strategy for these programs as well as other Reading Plus teaching tools. She is an avid reader and lifelong learner who works every day to expand her knowledge about the world. She and her family live on Long Island, New York. Want to Improve Reading Comprehension? Here's How.